The British Virgin Islands or BVI is a small country that, despite coming under the purview f the British Monarchy, is completely independent in managing its internal affairs. It’s not even part of any data sharing coalition like the 14 Eyes or the 5 Eyes Alliance, making it non-mandatory for it to comply with any external data extradition request. All of this combine to make this location incredibly safe for ExpressVPN, increasing the privacy that the service can afford to give to its users. Data retention laws have not been enacted in BVI as well, implying that ExpressVPN won’t be required to retain logs of any of its user data by law for a very long time. And even if an external government want to access any such data from a firm based in the BVI, it would have to not just file a case in the BVI High Court but it will also be required to produce implicating evidence on factors such as the exact criminal activity, what evidence is being sought in this lawsuit, how the evidence is connected to the criminal case and whether the act done is punishable under BVI law as well or not. This makes it almost next to impractical for a Government to go through such an extensive procedure to get the data they want from a BVI-based firm. The BVI is one of the safest locations globally for a VPN to be based in. For ExpressVPN, this increases its credibility and protects it service from undue tinkering by the law authorities elsewhere. ExpressVPN has published a full-scale explanation regarding BVI and its data laws as well. Being one of the market leaders in the industry, ExpressVPN always initiates ground-breaking steps to ensure maximum transparency of its service across all spectrums. A recent action taken in this regard by ExpressVPN was to make its service CDT Compliant. CDT or the Center for Democracy and Technology is a non-profit organization that runs independently to safeguard human rights and civil liberties across the world. Recently, it showed concern about the prevailing issue of non-transparency in the VPN domain. To counter it, CDT introduced a compliance test that involves questioning a VPN regarding many different aspects of their business and operations including who owns them, what’s their business model, how diversified their revenue sources are, what protocols do they use, what more is the provider doing in protecting user data among others. ExpressVPN was one of the first few providers brave enough to answer all of these questions, strengthening the already rock-solid trust factor it enjoys among VPN enthusiasts. 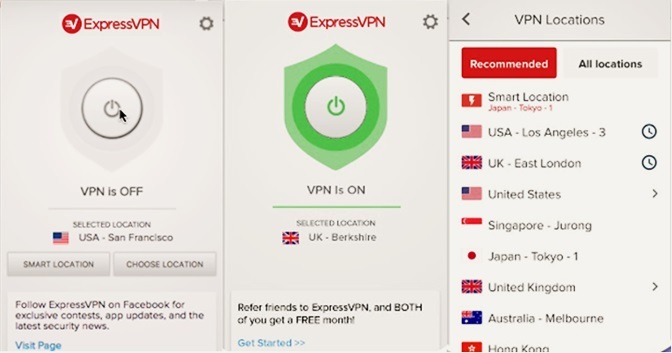 The questions and their detailed answers have been published by ExpressVPN in a blog titled “Signals of a Trustworthy VPN” just recently. ExpressVPN’s main pressing point has long been its high subscription prices. Most VPN providers in the industry continuously push forward with ever more lower prices running in the bracket of $1.5-$4/month, but ExpressVPN has never taken that route. This is perhaps the main reason as to why its pricing plans have been touted to be highly expensive as compared to the rest of the industry. But, the best deal currently offered by ExpressVPN is their Yearly plan, costing the user $8.32/month. This is quite high as compared to comparable deals by other similar providers, but despite the high prices, the value, the robust performance, and more combine to make ExpressVPN one of the best VPN services in the industry by a fair margin. So we can safely recommend that the prices are quite justified as compared to the value that this provider is offering to its users. Our ExpressVPN review unveils that the provider does not offer any free trial to customers currently. There is a dedicated “Free Trial” page, but it misleads customers – as it is actually a 30-day refund guarantee they talk about, Previously, ExpressVPN did offer a trial for mobile users – one day for the Android app and seven days for the iOS, as per Google Play and Apple Store policies. The Chinese Government doesn’t like VPNs as this tool disallows them to control what their citizens online. They’ve added an intricate set of controlling mechanisms in their Firewalls to weed out VPN connections, especially by way of operating deep packet inspection. This practice has rendered almost all VPNs useless towards offering the facility of unblocking geo-restrictions for users in China. On top of this, Chinese authorities have banned users from accessing many VPN sites, making it even more difficult to download and use them, let alone bypass geo-restrictions through them. 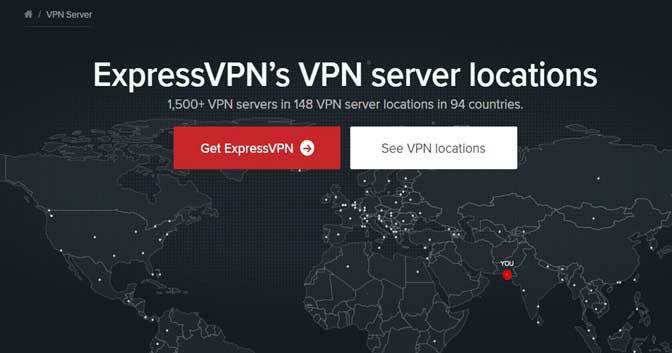 ExpressVPN is a rare service that still offers incredible service as a VPN for China. It has its own re-direction link which can be used to access its website even while in China, a feature not matched by even the other top providers in the industry. On top of this, it offers an incredibly well-thought-out support guide to ensure flawless performance of its Chinese service. This guide includes the guidelines that a user needs to follow if it wants ExpressVPN to work in China without disruptions. The guide also offers a way to follow these methods in complete detail. User reviews used to be one of the most authentic forms of reviews that you could learn about service from. But since the time when marketers and spam artists started taking over places like crowd sourced product review discussion threads on sites like Reddit and Quora, honest and real user opinion has become incredibly hard to find. The site’s mechanism makes it difficult for marketers to spam its reviews with fake opinions, reducing this problem to a manageable size. When we looked for ExpressVPN reviews on Trustpilot, the overall ratings and comments looked to reiterate our own stance on the service. Among the 2600 ratings filed cumulatively, 88% of them rated the provider as Excellent, with just 4% marking the service as Average, Poor or even Bad. Mentioning ExpressVPN International Limited as the firm behind the service, without divulging the names of the individuals who actually own, run and operate the service from BVI, the provider has tried to maintain a shroud of secrecy behind its actual team. This is despite the incredible transparency that the provider follows in all other places. But we can understand this as running a VPN is a sensitive undertaking and this practice is quite common as far as this industry is concerned. Protecting user data is the primary motive usually behind such acts, so we won’t scrutinize the provider more on this parameter as its done enough already to ensure maximum transparency and privacy on all other fronts. No metadata, browsing history, user’s own IP or that of the VPN server connected to, DNS queries etc. is logged by the provider ever. Most of these logs come under the purview of personally identifiable information, making it a great initiative on part of ExpressVPN to not store them in any means whatsoever. 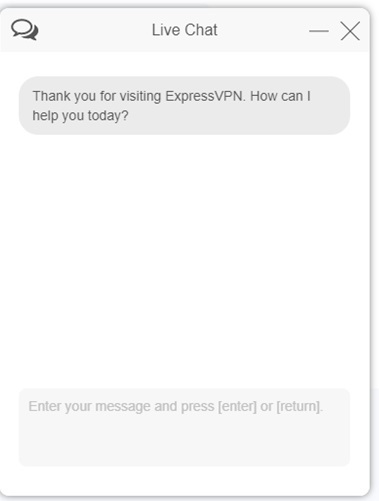 No one can see what you do online when you connect to this service, not even the team behind ExpressVPN. How much bandwidth was consumed each day by the user? Collecting this information is not without its harms either but it still is necessary as this data allows a service to keep running its operations in the best manner possible. However, there are VPNs which don’t even collect such information, like MullvadVPN, a truly anonymous service that won’t even require your email address to initiate its subscriptions. We all understand that VPNs are commercial services and they have all the right to market themselves. But despite that, when one is working in such a sensitive domain such as cybersecurity, where people’s genuine interests like their data privacy, online anonymity, and internet freedom are being addressed, you expect a business to promote privacy through initiating awareness drives and by way of offering scholarships etc. Till date, I haven’t come across a single venture related to this issue apart from the laudable scholarship program initiated by ExpressVPN, in which iit’soffering cash prizes and free ExpressVPN subscriptions to winners of its essay competition about user privacy being protected by tech firms themselves and then the free market choosing the best ones among them all without any sort of interference from any authority. This implies that the provider is serious about privacy and is taking active steps to build awareness regarding it. It’s a breath of fresh air that at least one of them is thinking besides corporate greed to address the real elephant in the room. Changes are coming to the VPN industry, and ExpressVPN is again one of the first few to pledge support for a new protocol. Just like when the provider helping in funding the reviewing and auditing of the OpenVPN code, from a group of security experts from QuarksLab. The provider even met up with Open Source Technology Improvement Fund (OSTIF) and conducted an interview, with aims to better internet security and privacy tools with bug bounties, code improvement, and audits. This time, ExpressVPN is supporting a new free and open-source VPN protocol. It goes by the name of WireGuard, originally written by Jason A. Donenfeld and currently developed by Edge Security LLC. This protocol functions directly on a kernel level of an OS, ensuring faster encryption and decryption of data, with fewer risks of leaks. What is the Purpose of WireGuard? The aim behind this new protocol is to replace both IPSec and TLS-based solutions like OpenVPN. Based on NoiseIK, it uses a single round trip key exchange with short pre-shared static keys of Curve25519 for mutual authentication in the style of OpenSSH. 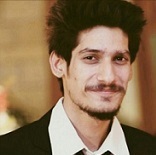 The protocol further uses ChaCha20 for symmetric encryption, authenticated using RFC7539’s AEAD construction for Poly1305 to encapsulate packets in UDP. IP-binding cookies are also utilized for mitigating denial of service attacks, improving on DTLS’s and IKEv2 mechanisms. In short, the overall design of WireGuard, allows for no resource allocation when receiving packets. The focus is currently on Linux-based devices, as the protocol can be implemented in less than 4,000 lines of code. However, there is work going being done for MacOS, Windows, Android, and iOS devices. Beta versions are available for testing currently, as the protocol still faces trouble in ensuring anonymity for VPNs. A users’ internet IP address may get identified through WebRTC leaks. A good protocol should never match such an identifier to a single user. So, the project is still a work in progress. Registering with ExpressVPN does not require any expert knowledge. The provider has made sure to keep things simple and straightforward. All you have to do is visit the “order” page and select a plan that best suits your needs and requirements. Then, apart from the payment details, you only need to enter a valid email address. You can use a disposable one too if you want to stay anonymous, as Bitcoin is accepted. 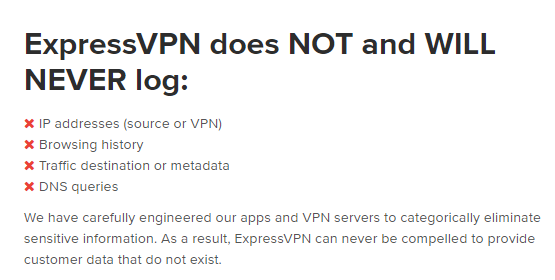 Keep in mind though that when you register and pay, ExpressVPN records your real IP Address, but they will never reveal the data to anyone (read more about this in the logging section). The provider even offers compatibility for dark web users, making a .onion Tor Web address available for signing up with the service and downloading the software. Our ExpressVPN review discovers that the provider offers a very smooth process for cancellation. Simply log in to your account, where you see your expiry date and subscription length. Locate the “Automatic Renewal” section, on the right side of the “My Subscriptions” page. Click on “Manage Settings” and select cancel my service, while turning OFF automatic renewal. Just like other useful software applications, users are always looking for ways to hack ExpressVPN and use it freely. Sadly, there is no cracked version available for the VPN software. Besides, why go through so much hassle, when you only have to pay $99.95 for 15-months access? Not to mention, most crack files usually contain viruses that can potentially harm sensitive data on your computer or mobile. According to our ExpressVPN review, the provider supports a huge list of payment options. Among these include credit cards like Diners Club International, Delta, Visa Electron, UCB, Discover, American Express, MasterCard, and Visa, direct payments via PayPal, WebMoney, AliPay, UnionPay, Yandex Money, GiroPay, FanaPay, MINT, and the anonymous Bitcoin. ExpressVPN’s Kill Switch a.k.a. 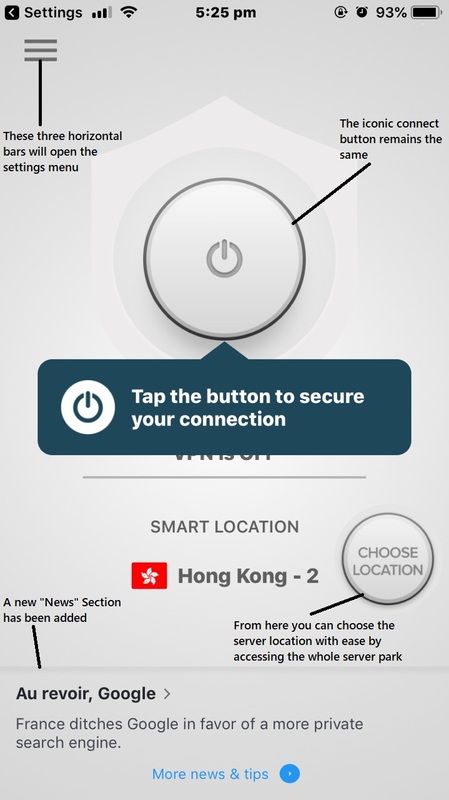 Network Lock is a feature that protects you, in circumstances, your internet traffic is exposed, due to VPN disconnection. It automatically stops all traffic by shutting off the internet, preventing your traffic from routing back to your local ISP. This saves you from paying hefty copyright infringement fines, especially if you use the VPN for streaming/downloading pirated content. Only a few providers in the marketplace including ExpressVPN offer split-tunneling features. It typically allows users to route bits of the traffic through the VPN, while other devices/apps maintain direct access to the internet. This prevents your ISPs from finding out about your online activities, especially if you engage in P2P/Torrenting. This feature from ExpressVPN is one-of-a-kind providing users with unmatched unblocking capabilities. Since the provider runs its own DNS, all your traffic is safe from censorship, phishing, DNS filtering, and other attacks. Since your DNS requests never leave the VPN tunnel, you even leverage quicker response times when exploring the internet. To meet the demands of every user, our ExpressVPN review unveils the provider supports all popular protocols. These include OpenVPN with TCP/UDP, PPTP, L2TP/IPSec, and SSTP. The best part of all: you have different servers for each protocol, which ensure you leverage nothing but strong connections when connecting to the VPN service. When it comes to establishing a VPN connection, you may sometimes experience poor speeds and low bandwidth, due to high server load on a certain server. ExpressVPN makes things easier for you by providing a speed test feature in the Windows, Mac, and Android clients to analyze the performance of a particular server. You can then select one that offers the best speeds in your location. 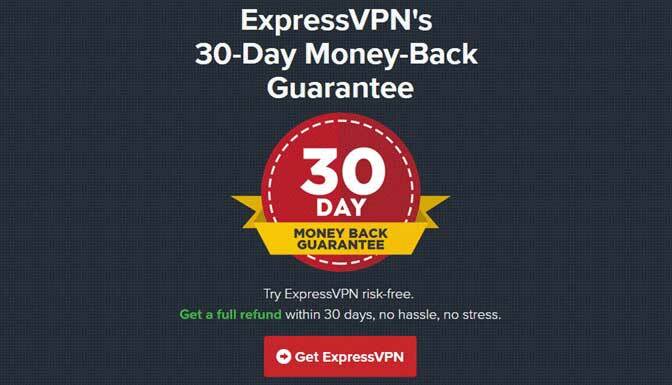 As mentioned earlier, our ExpressVPN review discovers that the provider offers a 30-day money back guarantee for users. This allows you to get a complete test-drive of the VPN service, after paying the subscription costs, and then asking for a refund – if you feel unsatisfied. According to our ExpressVPN review, the provider offers a huge collection of 3000+ servers, spread across 94 countries around the world. The speeds were impressive, clocking at 40MBPS average, on our 50MB connection, which is more than reasonable. In addition, there were no signs of WebRTC or IPv6 leaks, which further adds to its reliability. In addition to offering protocol support for PPTP, SSTP, L2TP/IPSec, and OpenVPN, the provider makes sure to equip VPN connections with strong encryption. You leverage maximum privacy via AES-256 ciphers that use SHA-512 HMAC for hash authentication and RSA-4096 for handshaking. ExpressVPN even offers “Perfect Forward Secrecy” from the Elliptic Curve Diffie-Hellman (ECDH) for key exchanges. When it comes to determining whether ExpressVPN is legal or not, you need to be aware of the general laws surrounding VPNs. Study and read about the use of VPNs in your country. For instance, there are no restrictions on private networks in most countries, but there are still plenty, that imposes restrictions, like Turkey, UAE, Iraq, Belarus, Oman, and China. To learn about the legality of VPNs in your country, consider checking out this page. Nothing beats the convenience of engaging in P2P/Torrenting for downloading your favorite movies/TV shows, music videos, software programs, mobile apps, comics, books, and more. However, since downloading torrents can get users into serious legal hassles, life has become a little difficult over the years. Copyright infringement hunters and anti-piracy agencies are adamant about shutting down all websites/services that may provide certain content for FREE. In such cases, using a VPN definitely comes in handy, and what better option than to use ExpressVPN. Adding to its exceptional online security and privacy tools/features, the provider offers Split Tunneling and SOCKS5 proxy, which boosts your P2P/Torrenting speeds and overall digital anonymity. Many uTorrent and BitTorrent users also usually configure “IP Binding” to limit their downloads to a single IP address of a secure server, which disconnects immediately if any leak is detected. 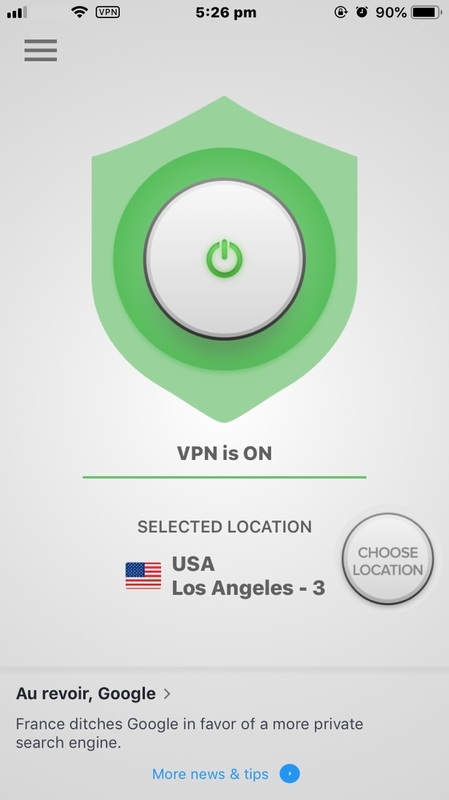 However, when you use ExpressVPN, users have the added incentive of the infamous “Network Lock” feature. For those of you who do not know, the Network Lock acts like an automatic kill switch for your internet connection. In the unfortunate circumstances of the connection to a secure server dropping, this feature will disconnect your internet completely. This stops any traffic from leaving your device, hence boosting your privacy by preventing any sort of IP leakage. One of the best things about ExpressVPN is its strong reliability and support system. The provider built much of its reputation by offering excellent support to customers via 24/7/365 live chat. There is also a ticketed email system if a representative is not available at a certain time. If you are looking for an instant solution, there is a troubleshooting page available too. Here you can find all information about how to get started with the service, the usage of different features, and frequently asked questions (FAQs) regarding the VPN. If the above options do not prove helpful enough, you can always visit the setup tutorials page. Here you can receive manual guides on how to set the VPN up on different platforms, which include Windows, Mac, Android, iOS, and plenty more. As you can see below, ExpressVPN offers the broadest device compatibility, across all VPN providers. You have dedicated applications for Windows, Android, Mac, iOS, iPad, Linux, Blackberry, DD-WRT Routers, Google Chrome, Mozilla Firefox, Safari browser, and even for Amazon FireTV, AppleTV, Xbox, and PlayStation. What else could you ask for? 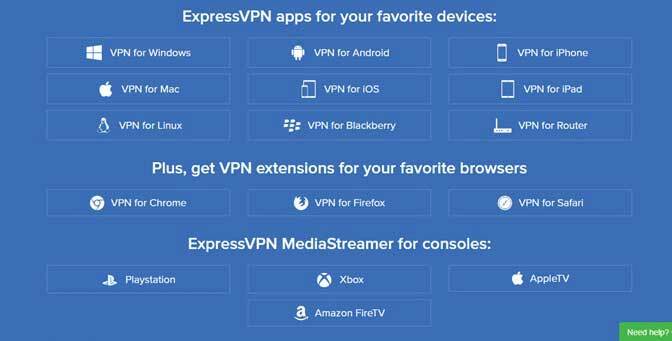 ExpressVPN has just rolled out its updated apps for all of its platforms. The apps have been redesigned to make it easier for users to not just navigate and use them but to ensure that the connection process to a server becomes as seamless as possible. The apps have undergone a phenomenal change to give them a slicker, modern day feel. Now you don’t need to close the app to navigate elsewhere, as you can do that within it with the new shortcut feature, which I will be showing you in more detail later on. It doesn’t take long to initiate a VPN connection now as the connection request time has been reduced to almost zero. Just tap and it turns on in milliseconds. iOS apps are not particularly good when it comes to the VPN industry. Whether its functionality, design or even the general UX feel, VPN apps do fall short of the standard on the platform as compared to the apps available for the rest of the genres on the iTunes store. So does the ExpressVPN iOS app update make things better? The new, redesigned iOS app by ExpressVPN is much, much better than its previous version. The font is now more readable and the features are now much more accessible and responsive than previously. I felt no problems in accessing the main buttons on the screen and as is evident from the image attached below, the “OK” button can be seen and interacted easily, in a great example of the stunning functionality the redesign has brought to the app experience. Here is how the interface of the new iOS app by ExpressVPN looks like. I’ve also mentioned all the new and old options and how are they placed. But you know what the biggest deal of them all is? This iOS VPN app will allow you to unblock Netflix US! It is unprecedented for a VPN app to allow you to do this on the iOS platform so flawlessly, because the VPN ban on Netflix becomes even more stringent to bypass on this platform. It’s so simple to do it. And then I went to Netflix and started to watch Avengers: Infinity War! But I had one very interesting observation when I was testing the iOS app for unblocking Netflix US. 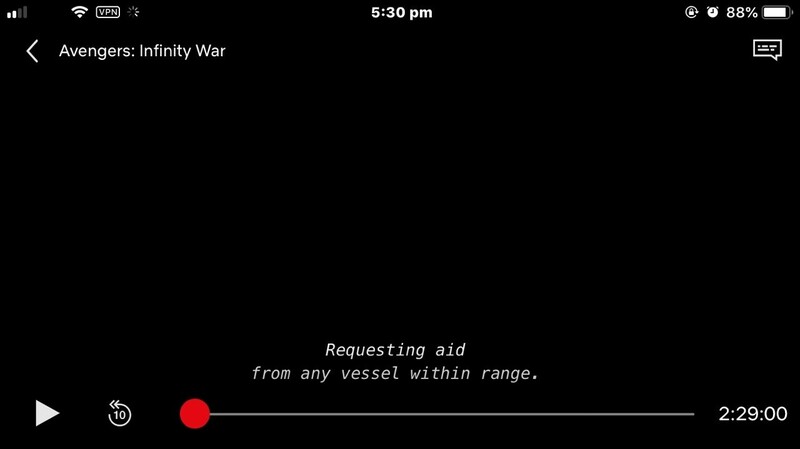 Whenever I tried to take a screenshot of the movie playing as proof that ExpressVPN’s iOS app unblocks Netflix US, the picture came out blank like this. The screenshot was never able to capture an image from the movie. All I could get was a page with Netflix running with all the features and everything visible apart from the movie itself. While the iOS app has gotten the new features, the Android app’s UX feels like it has been flattened out. The Connect button, as well as the main server selection option, bears a more flat feel as can be seen from the image above. Its good but I really don’t like it. The reason for this is that the previous button design, which can be seen still in the iOS app, was better looking and was easier to interact with. The two vertical bars that signal that the VPN is off now on the Connect button give it an ugly look. I don’t like their broadness. This should be changed. 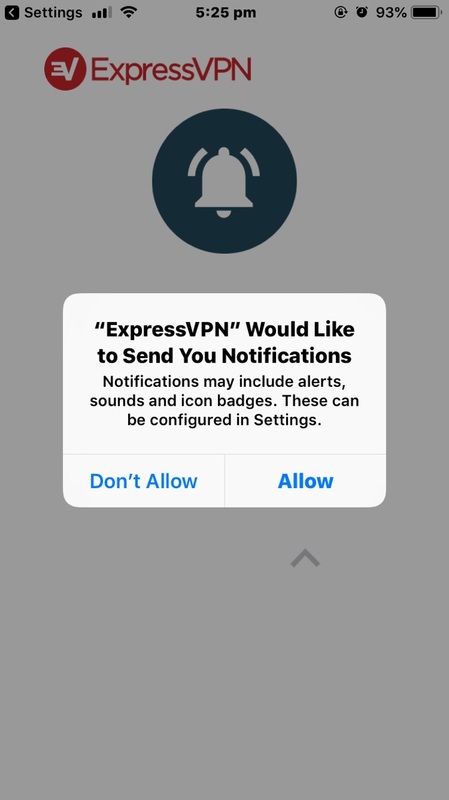 But apart from that, I really welcome the new additions like the shortcut feature which allows you to go directly to your favorite apps and services from the ExpressVPN app. And the rest of the app is easily navigable as well. Here are some screenshots I culled from it. The results, like always, were excellent. No such leak was detected. The provider is a hallmark of greatness in the industry, so if you want to subscribe to it, do it without any apprehensions as you will never regret it. ExpressVPN’s browser extensions boast the same exact appearance and design on Firefox, Chrome, and Safari. The menu and configuration options are neatly laid out with attractive fonts and colors, making it incredibly easy-to-use. You have a huge collection of servers available for connection. There is even a WebRTC leak protection feature, which prevents information leakage from your browser. From your desktop screen, click on the “Network” icon, located in the Windows Taskbar (next to the clock at the bottom right corner). Then, click on “Network Settings”. In the menu, under the Network & Internet title, select VPN and then click on “Add a VPN Connection”. Tick the advanced options, if needed. You will now be required to enter VPN sign up details. Visit ExpressVPN and login to your account. Find some PPTP servers available for connection and copy the address. Once you have filled out all the bars, click on the “Save” button to create the VPN connection. Return to the previous menu, click on the connect button, and enjoy using ExpressVPN via PPTP protocol! ExpressVPN offers dedicated apps for almost all platforms. You can download them by visiting the “Products” page or the dedicated browser/device store. For platforms like Windows, Mac, and Linux, you can easily find compatible versions on the primary website. If you want to use the VPN on iOS or Android, you can download the dedicated software apps from iTunes or Google Play Store. When it comes to downloading ExpressVPN on browsers: you have two options visit the Mozilla Store or the Chrome Web Store. At the same time, you can visit the ExpressVPN directly and download the file manually. The same goes for Safari browser. The MediaStreamer DNS service from ExpressVPN is perhaps one of its unique selling points. The provider has specially created their own DNS servers, which can be used on devices like the Amazon Firestick, Fire TV, Apple TV, Xbox, and PlayStation for streaming content. For more information on how to setup MediaStreamer DNS, check this link out. ExpressVPN Netflix – Can You Unblock the VOD Service? The provider offers a list of servers designed for unblocking Netflix. By connecting to a VPN server in another country, you can even gain access to content that you would never be able to reach. For instance, the US Netflix has the broadest list of movies/TV shows, as compared to its counterparts in other countries. You can use ExpressVPN to gain access to Netflix’s complete content library. 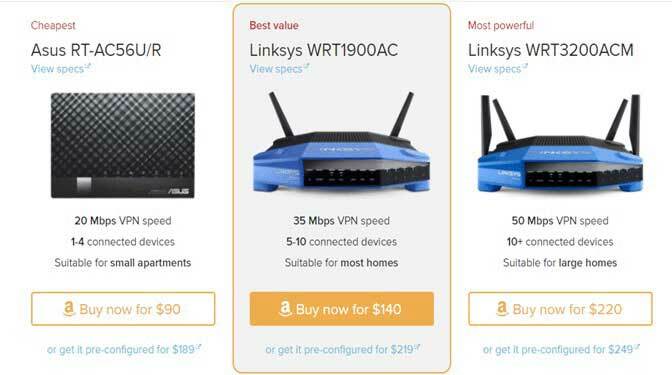 According to our ExpressVPN review, the provider even offers customized routers, which you can use to establish a secure connection throughout your household. Since the app is built-in, you can also leverage better security, while protecting more devices simultaneously. For users who are extremely worrisome about their digital privacy, particularly if they engage in P2P/Torrenting or pirated streaming, there is no better option than using a VPN router to boost their overall anonymity. Now, you already know that ExpressVPN offers its own customized routers for you to enjoy, but most may face trouble in setting them up. Those who are tech-savvy and have little knowledge about routers should know the process is quite easy and just involves downloading the right “Firmware” for your router and pasting the correct activated code when prompted in the router config menu. You can upload the router firmware update and then hit the enter button to complete the configuration. 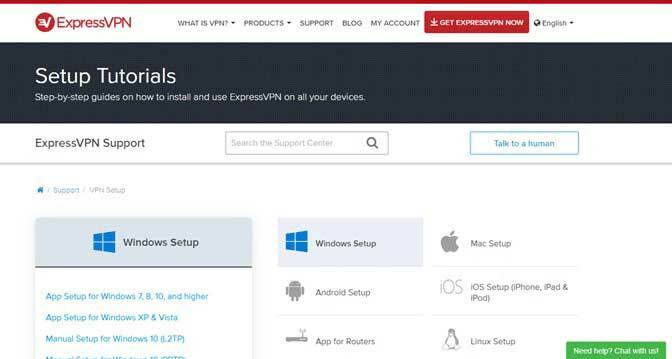 For specific instructions on how to setup ExpressVPN on different routers, check this link out! Our ExpressVPN review discovers that the provider has a very active presence on Reddit. Though the provider does not have its own profile, you can often find their support staff replying to queries. At the same time, you can find many users reviewing the VPN provider. Below is a screenshot of a Redditor sharing his experience of using different VPNs and finally landing on ExpressVPN. Read more on why ExpressVPN is ranked as the best Reddit VPN for 2019. What Can I Do With ExpressVPN? You can use the VPN service to bypass geo-restrictions and unblock sites like Netflix, BBC iPlayer, and Amazon Prime in countries where they are not available. At the same time, you can use ExpressVPN for leveraging the utmost level of privacy and security online, especially when using public Wi-Fi networks or engaging in activities like P2P/Torrenting and streaming pirated content. Boasting quite a remarkable reputation in the marketplace, ExpressVPN ranks among the premium providers you can rely on to maximize your security online. Therefore, it may be a little pricey for many with the monthly plan starts at $11.95. If you want to receive the best value, it is advisable to opt for the 15-months special deal, which totals to $99.95 only. 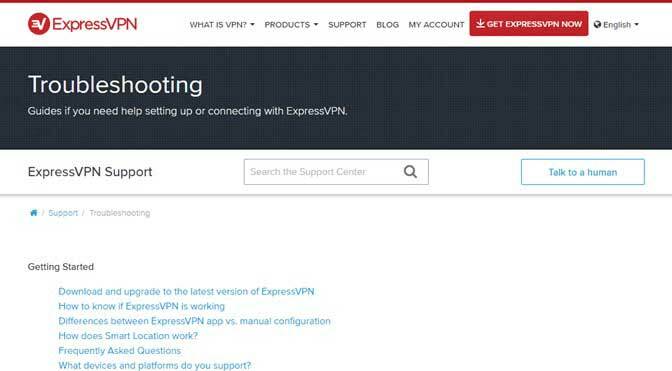 How to Uninstall the ExpressVPN Browser Extension? The process does not require any rocket science. Just open your browser and right click on the ExpressVPN Extension icon on the right. Click on “Manage Extensions” and then hit the uninstall button. However, if you plan to use the extension again, you can always disable/re-enable. Can You Use ExpressVPN on Multiple Devices? 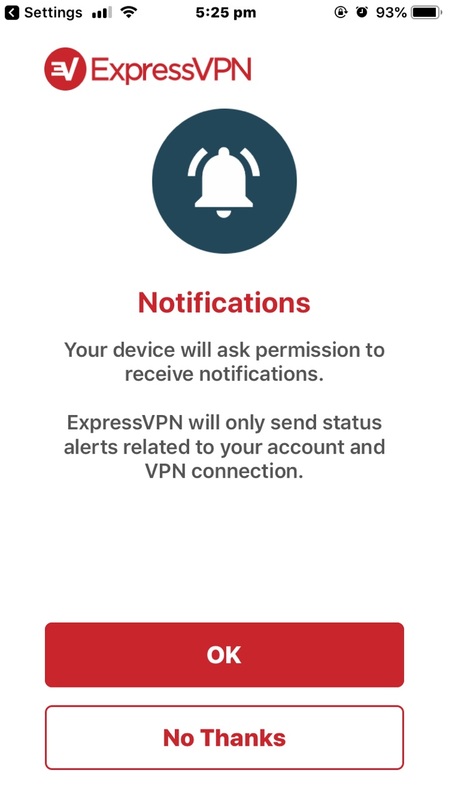 The premium plan of ExpressVPN grants users to establish connections of 3 devices simultaneously. If you want to increase the number of multi-logins, you will have to pay an additional amount. For protecting your entire home, you can buy ExpressVPN customized routers, which easily grant access to 10 devices concurrently. Our ExpressVPN review establishes that the provider is a perfect choice for the privacy concerned. Even government authorities cannot force the VPN to reveal personal customer information. Add this to the easy-to-use software, highly responsive customer service, generous 30-day money back guarantee, and you have a remarkable VPN at your disposal.